The Population grew from 2.2 million to 2.8 million people. The reasoning for that jump is because more people decided to live closer to the Atlantic Ocean so they could be able to ship goods and fish for food. In the election of 1801, Thomas Jefferson won the election by vowing to get rid of all federal taxes. He had tied with Aaron Burr, who became the Vice President, and the Supreme Court ruled that Jefferson had won. If Jefferson hadn't won this election, some of the great things he is known for might not have happened. 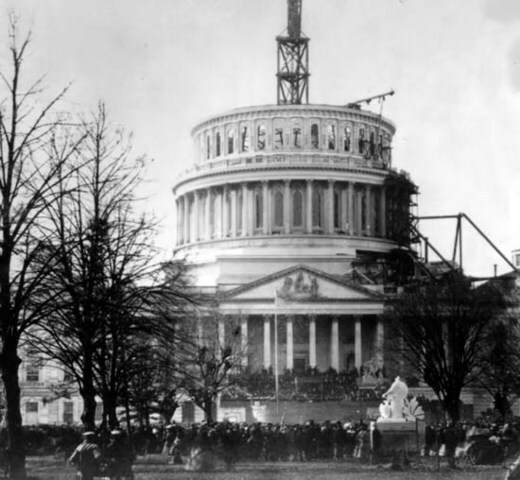 Thomas Jefferson is the first President to be inaugurated in Washington D.C.
Jefferson purchaces Louisiana Territory from Napoleon. 800,000 square miles were bought from Napoleon. 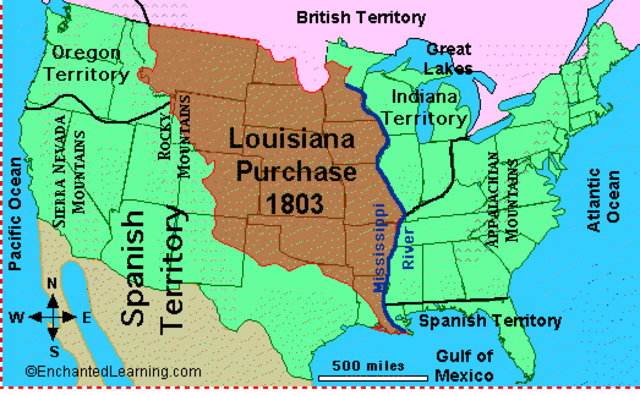 Jefferson paid $15 million dollars on the Louisiana Territory. 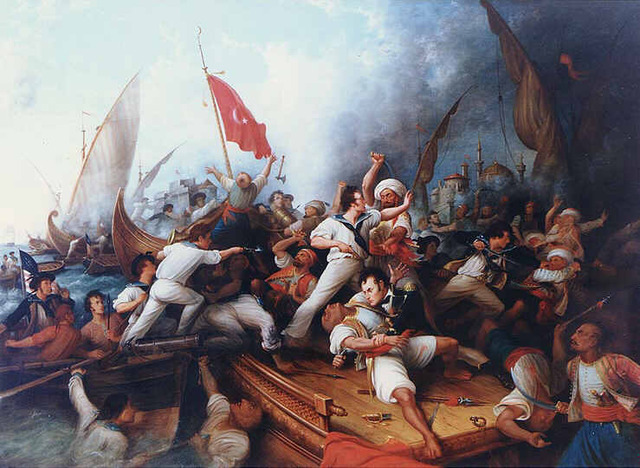 For information on the First Barbary War, look at the timespan on it beneath. White people were being pushed for new land so they kicked out the native americans out for new land. 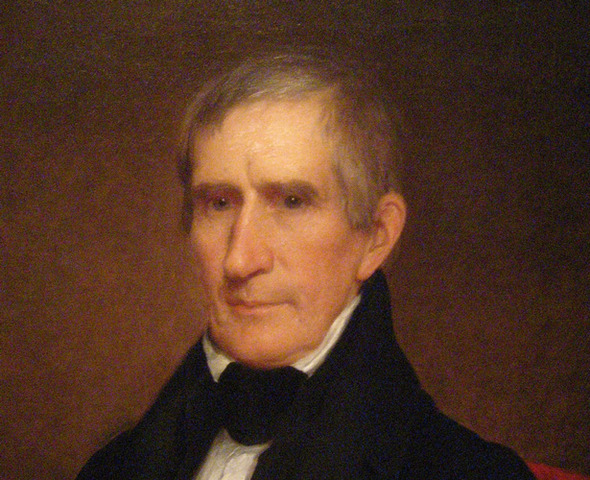 William Henry Harrison (Picture) introduced these acts. 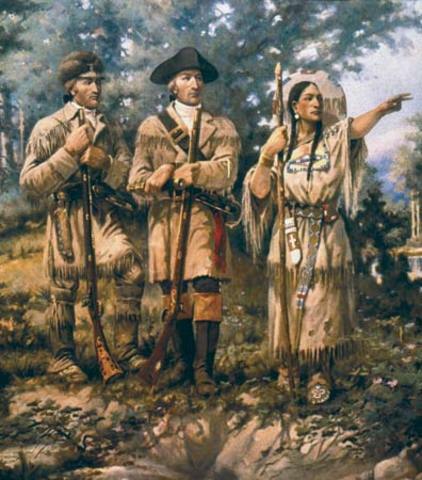 Lewis and Clark along their expedition route. 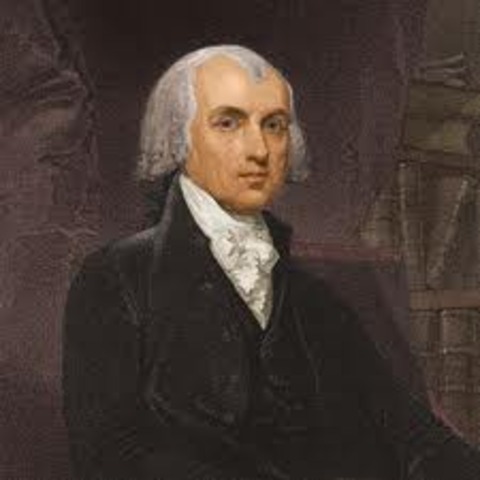 This is a picture of James Madison. For more information on his presidency, visit the timespan titled "James Madison is President". 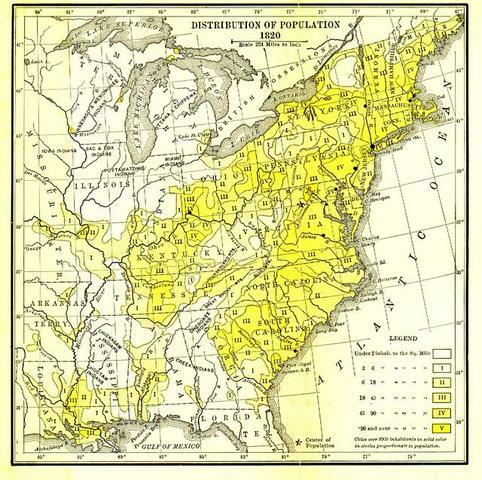 The population in 1810 was 7,239,881 people. And of those people living in the United States, 1,191,362 were slaves. 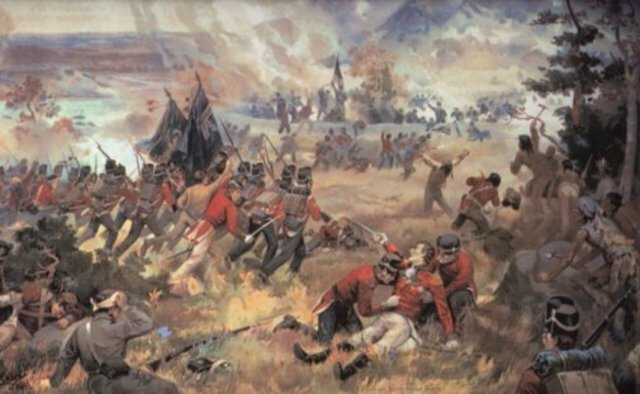 1812 the congress decided the only way to fund the War of 1812 was to raise taxes on importated goods and issue $5,000,000 in bonds. This is an important economic event because over-taxed goods affected how much people bought, and to mention the $5,000,000 dollars that were saved up for the war. America ran a great risk of losing thousands of dollars. In 1809, the first year of Madison's Presidency, trade with France and England was not allowed. But in May 1810, this was changed and trade resumed with the two nations. On June 1, 1812, under pressure from a group in Congress, President James Madison asked Congress to declare war. England was preventing US ships from passing through to France, causing a major issue. The trading system between Britain and the United States was in jeporady and the only possible solution was to pronounce war. 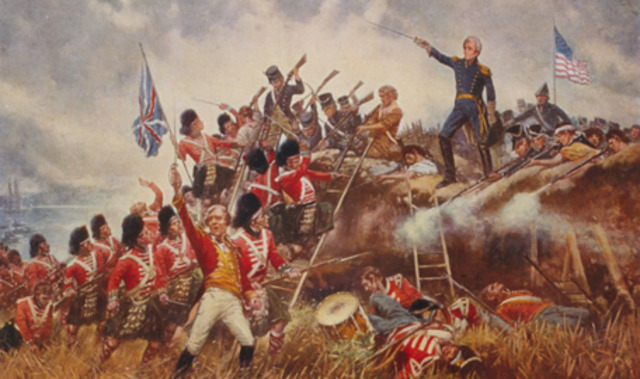 For information on the War of 1812, look at the timespan on it beneath. 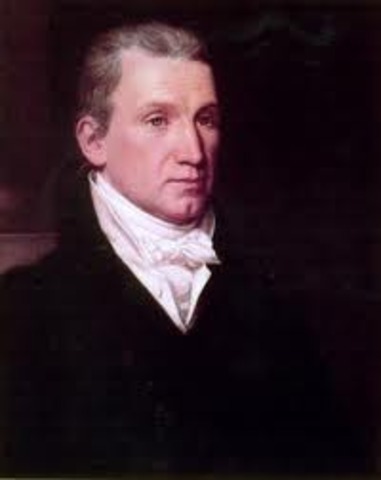 This is a picture of James Monroe. For more information on his Presidency, see the timespan titled "Presidency of James Monroe". About 30,000 immigrants entered the U.S in 1818. The nation had a love/hate relationship. John Quincy Adams wrote a letter saying that the government never invited people to come to America. August 7, 1820 the total population was determined to be 9,638,453. And of that 9,638,453 exactly, 1,538,022 were slaves. The center population was about 120 miles west-northwest of Washington in Hardy County. Spain was in debt for $5 million dollars and so they traded part of florida to pay of their dedt of $5 million dollars. Even though this treaty is called the Treaty of Chicago, it was meant for Michigan. This treaty officially gave the United States the state of Michigan. It was signed by the Michigan Territorial Governor at the time, Lewis Cass, along with representitives from verious Native American tribes. 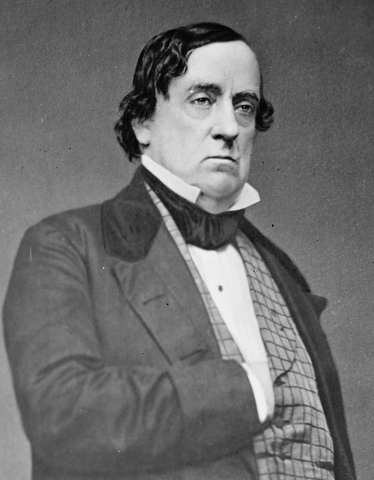 The picture on the left is of Lewis Cass himself. John Quincy Adams is the 6th President. About 51,000 new residents. The Federal Government started collencting immigration figures to keep track of people that were entering the U.S. Most of the people were from the British Isle. They were pushed there because of the bitterly cold winters 1825-1827. Andrew Jackson becomes the 7th President of the United States. 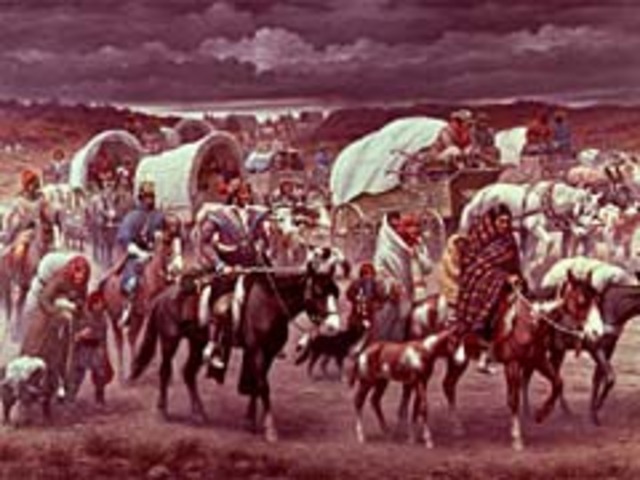 Native Americans were the first people to live in Arkansas and they were called the Bluff Dwellers. They had their cultures along Mississippi and Arkens River. 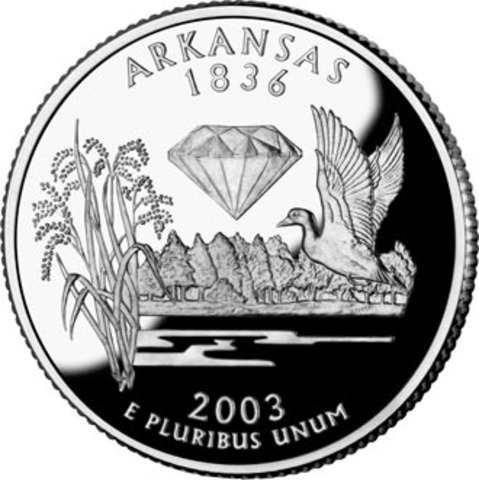 Arkansas were rich in Cotton and was a slave holding state. 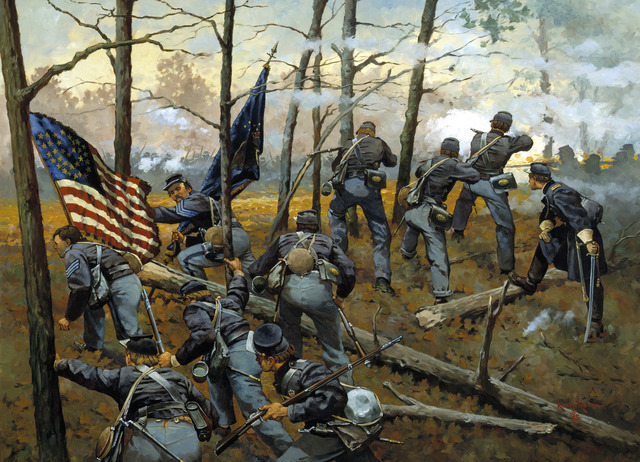 During the civil war it became a corfeerate state. Today Arkansas has many triving industries alomost half of Arkansas is forest. This was the first depression the United Stated faced and was caused by Jackson's law that banks wouldn't be allowed to accept paper notes as a form of payment. The banks lost money and depression hit. 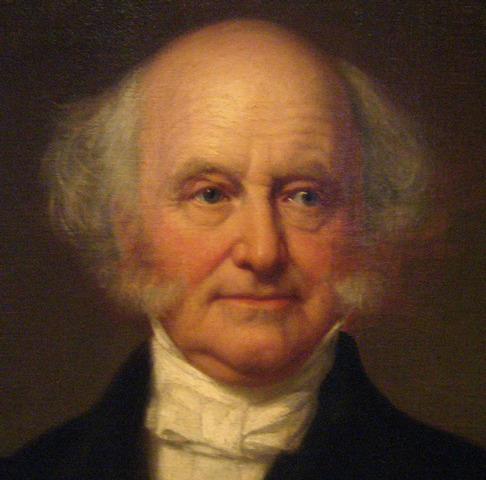 President Van Buren was opposed to direct government action to combat the misfortunes that had fallen upon the nation, and this probably cost hin re-election. 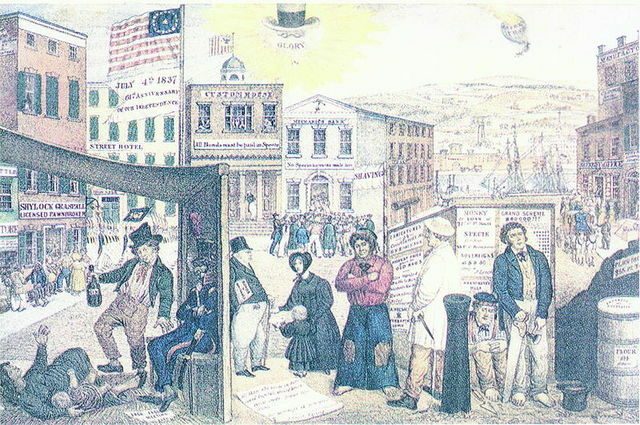 Even when Van Buren lost re-election, the depression lingered until about 1843. 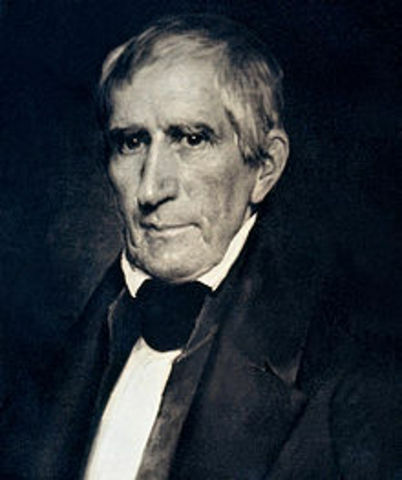 Willima Henry Harrison is the 9th President of the United States. John Tyler is the 10th President of the United States. The Oregon Fever had great fertile soil, towering forests, weather was always sunny, trees were thick and farms were free for taking. 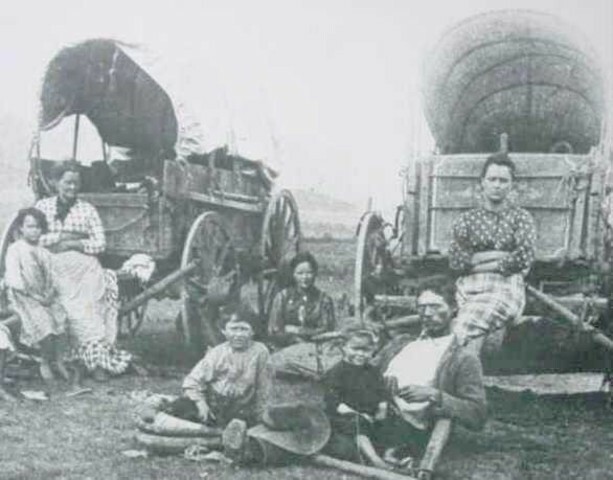 Theses reports atrracted pioneers to head to Oregon. 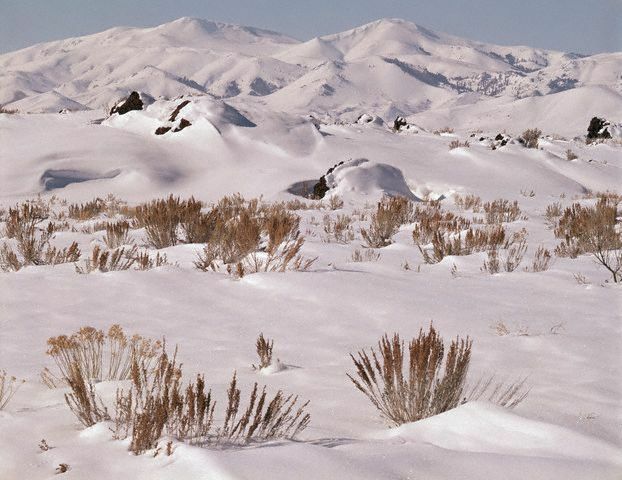 About 1,000 pioneers who were searching for a fresh start headed to Oregon in 1843. The Far East opened up for U.S. traders after a treaty with China was signed. Texas beomes part of the United States. 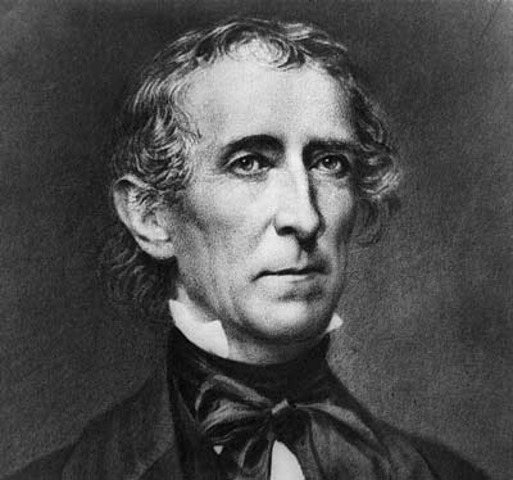 President John Tyler signed the resolution which added Texas to the United States. 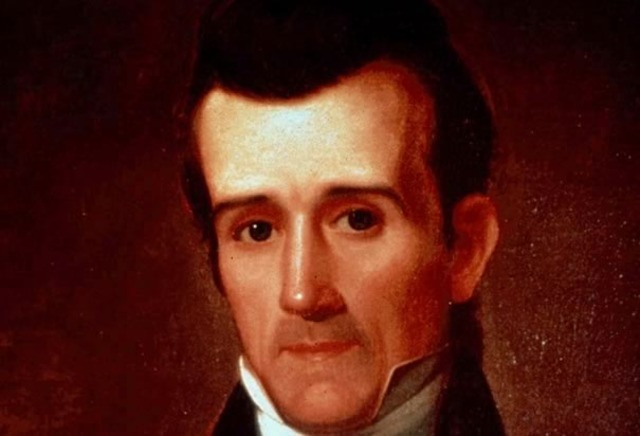 It was three days before President Tyler left office, setting his successor, James Knox Polk up for a possibe war with Mexico. James Knox Polk is the 11th President of the United States. After taking Texas a year before they were now fighing for New Mexico, California, and part of Northern Mexico. After the U.S army captured Mexico City, they forced Mexico to sell the northern part of Mexico for $15 million dollars. 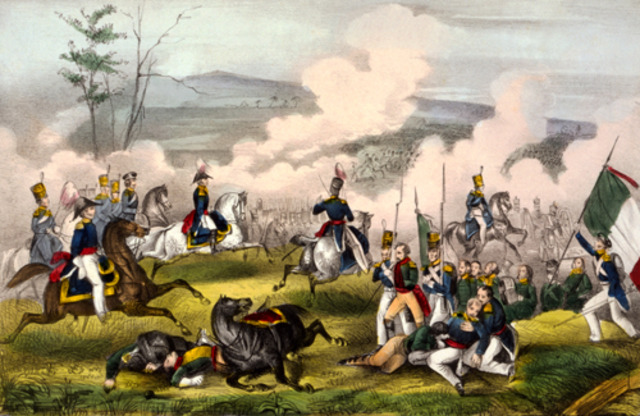 The Mexican-American War lasted from April 25, 1846 to February 2, 1848. For information on this war, look at the timespan on it beneath. The Treaty of 1848 was a major accomplishment of President James Knox Polk (president of the United States at the time). This treaty was made because the U.S. wanted to own California and the New Mexico area. There was even a war against Mexico to own the land. The treaty was made declaring that those lands belong to the United States. The picture to the left is of President James Knox Polk. 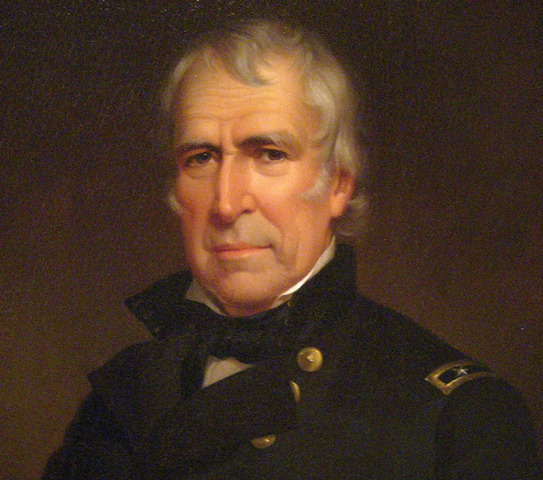 Zachary Taylor is the 12th President of the United States. The Clayton-Bulwer Treaty was a treaty signed by the United States and the United Kingdom. It was negotiated by John M. Clayton (US) and Sir Henry Lytton Bulwer (UK). The treaty was was made in response to attempts to build the Nicaragua Canal that would connect to the Pacific Ocean and the Atlantic Ocean. The picture to the left is of John M. Clayton. The expedition of Lewis and Clark took place from 1804-1806, for a total of 28 months. Meiwether Lewis and William Clark journeyed 8,000 miles across the western United States under the instructon of President Thomas Jefferson. This event opened up the West for trade and was the first that the American people had heard from the Western portion of their continent. James Madison was the fourth president of the United States. During his two term presidency, he had two Vice Presidents, George Clinton (1809-12) and Elbridge Gerry (1813-14). There was no Vice President from 1812-13 and 1814-17. 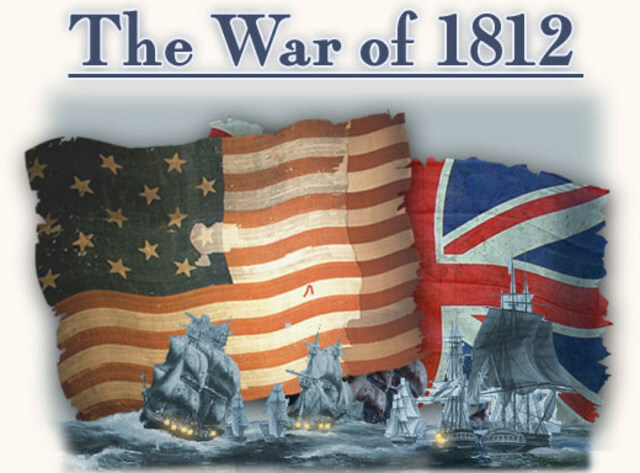 The War of 1812 was fought between the United States and Great Britain. The Americans declared this war for many reasons. The main reason, though, was because of America's trade restrictions brought about by Britain's everlasting war with France. After four years of war between each other (which included many small battles part of this gigantic war), the U.S. won. 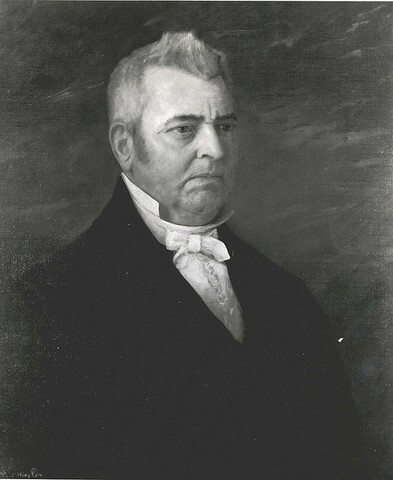 President Monroe was the fifth presdient of the United States and easily won re-election in 1820 due to little federalist opposition. At the beginning of Monroe's presidency, he made a "goodwill tour" and called it the "Era of Good Feelings". 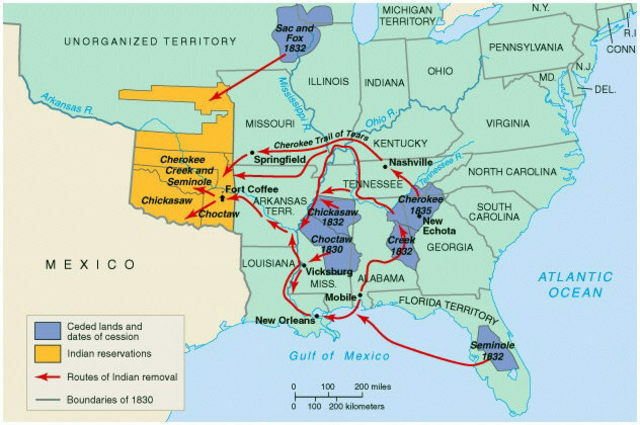 In 1820, it was under Monroe that the Missouri Compromise was passed, which forbid slavery north of 36º 30' latitude line, with the exception of Missouri. 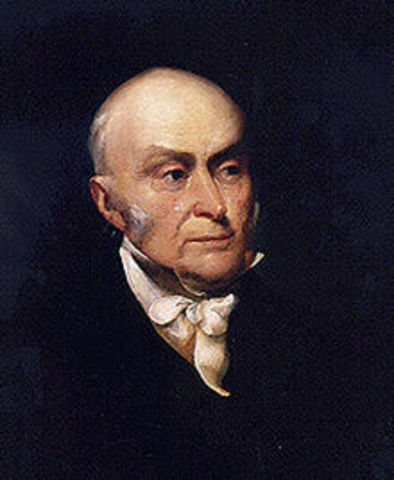 John Quincy Adams is the 6th President of the United States. During his presidency, the Erie Canal was finished and the first railroad for passengers and freights is built, called the Baltimore & Ohio Railroad. On March 4, 1829, Andrew Jackson became the 7th President of the United States. During his presidency, he authorized the Indian Removal Act of 1830 and signed the Treaty of New Echota, or Trail of Tears. The Vice Presidents are John C. Calhoun (1829-32) and Martin Van Buren (1833-37). 10th President of the United States. Vice President: None. Some significant things that happened under his presidency were: 1) In 1841, President Tyler vetoed banking bills that were supported by the Whigs, causing the cabinet to resign. 2) In 1844, the Far East opened up for US traders after a treaty with China was signed. 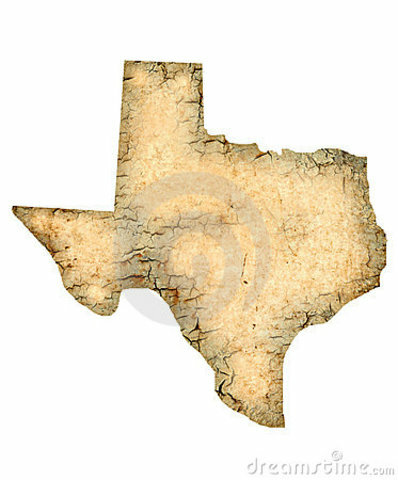 3) Texas became part of the United States in 1845. 4) John Tyler was the first Vice President to be elevated to President due to his predecessor’s death. 11th President of the United States. Vice President: George M. Dallas. 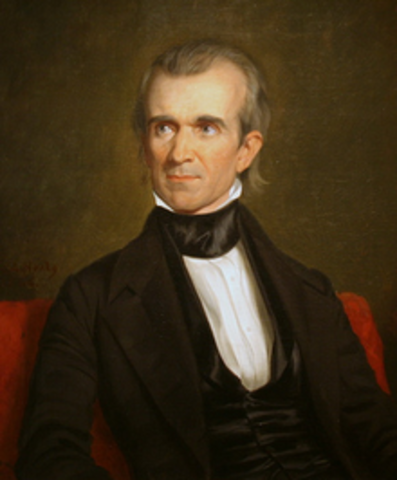 The Treaty of 1848 was a major accomplishment of President Polk. It took many years for the US to acquire the New Mexico area, and it took war with Mexico to gain that land. There was a dispute with Great Britain over the Oregon territory. 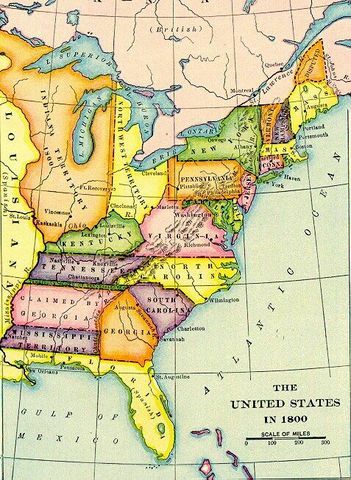 Neither side wanted war so Polk offered Great Britain land north of the 49th Parallel. Eventually Great Britain got this land with the exception of the southern tip of Vancouver Island. 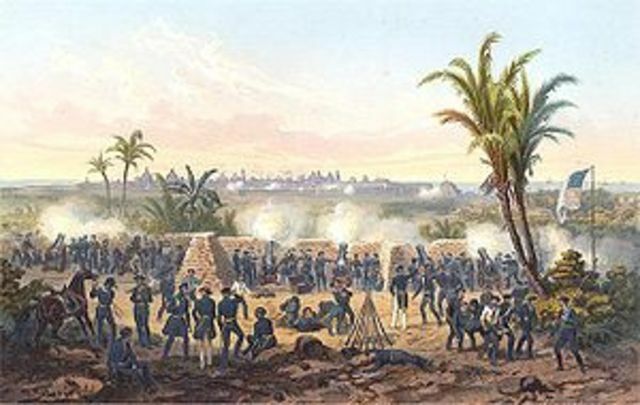 The Mexican-American war lasted about two years. It took place because Mexico wanted Texas to be their own land. The U.S. already owned Texas, so the war was over who would get the land. The U.S. won. 12th President of the United States. Vice President: Millard Fillmore. A notable event that occurred during the Presidency of Zachary Taylor was the Clayton-Bulwer Treaty. The treaty was meant as an agreement between America and Britain stating that any canal built in Central America would be available for any country to use. What led to this was the fight for control over a proposed isthmian canal in Central America.